There. I said it. That sweet, chewy little guy that's been on your mind. 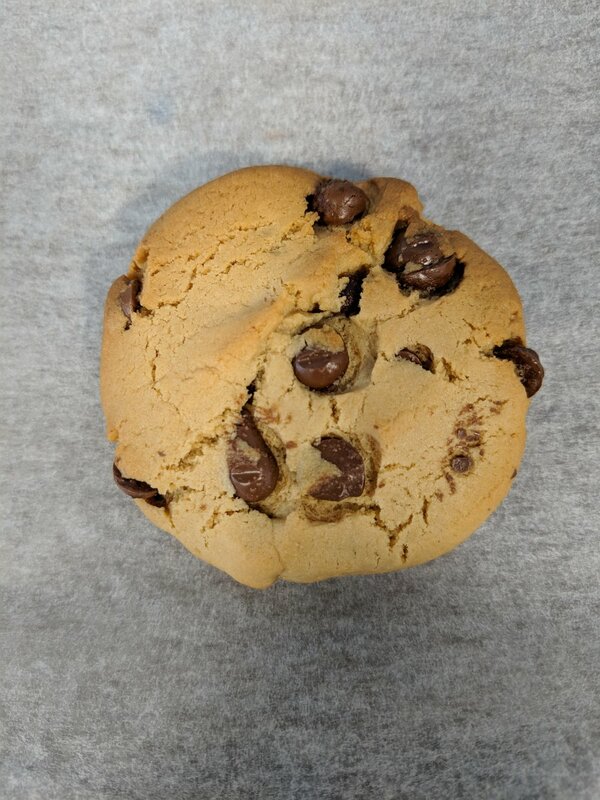 Some days just cry out for a choc chip cookie to call your own, and these ones are quick, delicious and full of loving kindness - just like you. Smash them down with a cold or hot cup of home made cashew milk and you will be in a little mouthful of heaven. But like, don't get attached because this is completely impermanent right?! First, heat your oven to 180 degrees. Cream wet ingredients till well combined. Mix in flour, salt and vegan choc chips until you have a mix that resembles cookie dough. Roll into walnut size balls, and place on a baking tray lined with parchment paper. Leave space to spread and flatten with your fingers or a fork for some cool ridges. Bake for 8 mins until lightly golden. Cool, find some neighbors to share this treat with, scoff together. Mmmmmmmm. Coooookieeeessssss.